In accordance with the Group’s strategic plans, three more Thumbay Clinics will be opened in Dubai, Sharjah and Ajman during the first half of 2016. 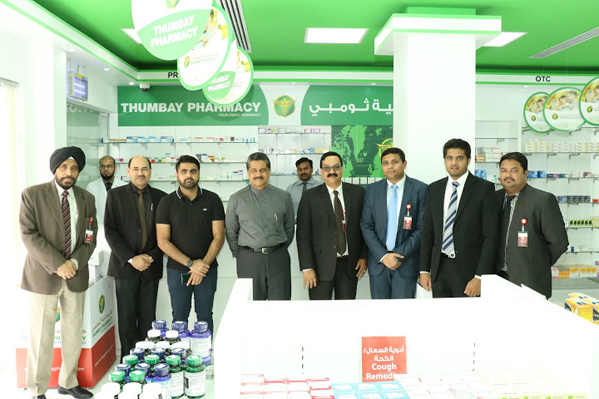 Thumbay Group’s Healthcare Division expanded its network of state-of-the-art family clinics and pharmacy chain by opening a Thumbay Clinic and an outlet of Thumbay Pharmacy in Sharjah on Wednesday, 24th February 2016. 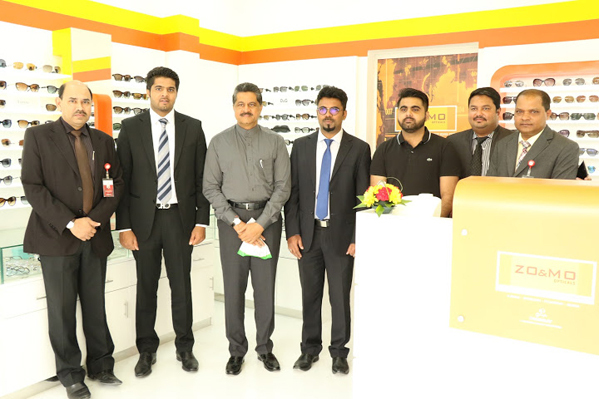 An outlet of Zo & Mo Opticals under Thumbay Group’s Retail Division was also opened alongside. 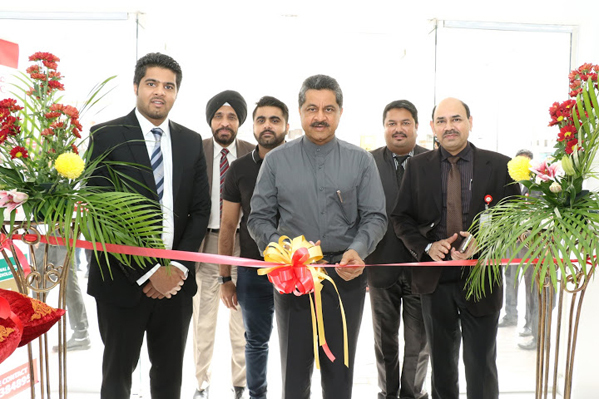 Mr. Thumbay Moideen, Founder President of Thumbay Group was the chief guest of the opening function. Gulf Medical University (GMU) Provost Prof. Gita Ashok Raj, Vice President of the Healthcare Division of Thumbay Group Mr. Akbar Moideen Thumbay, Director-Operations of the Construction & Renovation Division of Thumbay Group Mr. Akram Moideen Thumbay and other members of the administrative team of Thumbay Group were present at the opening. The newly opened clinic, complete with laboratory services, is the latest addition to Thumbay Group’s growing number of healthcare services focusing primarily on personalized services, convenience and affordability. The clinic has Obstetrics & Gynaecology, Paediatrics, General Surgery, Internal Medicine, General Practitioner, Radiology and Laboratory departments, led by highly qualified specialists. To celebrate its opening, the new clinic is offering free consultations across all its specialties for a month starting from the day of opening. The new Thumbay Pharmacy offering the complete range of medical equipment and rehabilitation care products, as well as the Zo & Mo Opticals outlet offering world-class optical products and services are located next to the new clinic. Mr. Akbar Moideen Thumbay said that Thumbay Group had plans to open more clinics, pharmacies and Zo & Mo outlets soon. “As per our strategic plans, we hope to open three more clinics in Dubai, Sharjah and Ajman during the first half of 2016. We will also be opening more pharmacies and Zo & Mo outlets in accordance with our strategic plans,” he said. He emphasized Thumbay Group’s commitment to delivering high-quality, patient-focused, cost-effective healthcare at people’s doorsteps. Presently located at Ajman, Sharjah, Dubai, Ras Al Khaimah and Umm Al Quwain, Thumbay Clinics offer services ranging from outpatient services to the latest medical procedures and diagnostics. Thumbay Clinics offer premium facilities that make them one of the finest community health care providers. All major insurance companies are honored at all Thumbay Clinics. The entire network of Thumbay hospitals and clinics is affiliated to Gulf Medical University and also offer teaching and training facilities to GMU students. All three newly opened outlets are located at Samnan, near Sharjah Cricket Stadium.